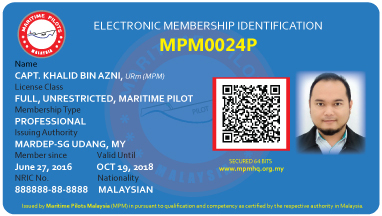 Professional membership application are opened to all Maritime Pilots of Malaysian citizenship or holder of Malaysia Permanent Citizen only; who are licensed by the respective Port Authority, Marine Department of Malaysia, employed and/or contracted by an organisation to execute the conduct of pilotage inclusive of mooring, docking, ship-to-ship operation; and retired professional Maritime Pilots. 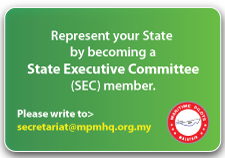 The above document must be email to secretariat@mpmhq.org.my after online registration. New membership one time entry fee is RM20 only and RM100 only for annual fee. 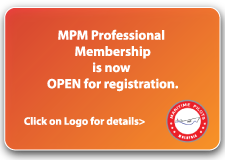 It is easy to apply for MPM Professional membership and it can be done online. Apply Online. 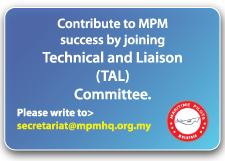 Alternatively, you can download the MPM Membership Application Form, complete them with all required details. 85G Lebuh Berangan, 42000, Port Klang. You are advise to issue membership payment only after being notified that your application has been approved. Upon successfully registered and approved as a MPM Professional member, you will be issue with an MPM Pro Exclusive Online Account. 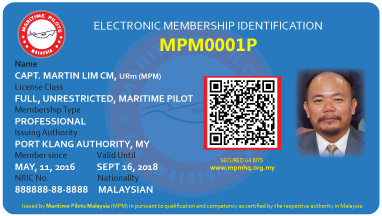 In this login page, you are able to benefit from the online reading and training materials essential to the Maritime Professionalism.